"Toronto photographer Ed Burtynsky has photographed industrial landscapes for more than 25 years. 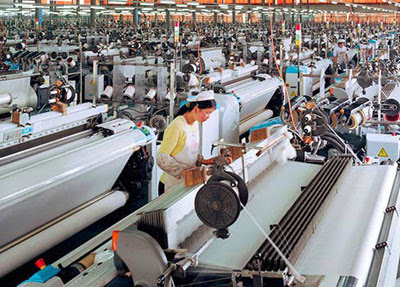 From 2003 to 2005, he travelled to China several times to capture images of the country's industrial growth. "A film crew followed Burtynsky on his fifth trip in 2005 to shoot the documentary Manufactured Landscapes, which opened this month in New York. Burtynsky manages to convey the scope of China's growth through images where raw statistics have failed." Wow - that is mind boggling! I guess you would really have to plan a toilet break at least 10 minutes beore you needed to go, or there could be a disaster!